Now just stop worrying about wires hanging from here and there. Pair with any Bluetooth device, connect and play. Dead batteries can kill your vibe. boAt Rockerz 510 is designed to play up to 8 hours. Don’t just be loud, be loud and clear. We assure you have not heard such powerful bass and vocal clarity from a wireless headphone with extra comfort ear cups. The boAt super bass Rockerz 510 wireless headphones will make your listening experience personal and for real. So, just plug it in and plug into nirvana. Music, uninterrupted and unceasing. Now you can enjoy your favorite tracks all day thanks to the 400mAh rechargeable Li-polymer battery that delivers up to 10 hours of audio excellence. From music, to movies and so much more, it’s all in a day’s work for the boAt rockerz 510. What’s more, you can get a full charge in just 3 hours with the included USB cable and 15 minutes of charging will give you 1-2 hours of run time, giving you endless enjoyment. The boat rockerz 510 will make your listening experience personal and for real. 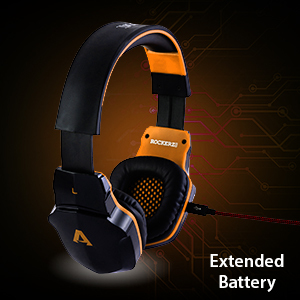 The sound processing system will generate one of the best experience you could get from a headphone. The powerful 50mm dynamic drivers enables the headphones to deliver a punchy, rhythmic response to the most demanding tracks. boAt signature bass technology delivers ultra-powerful, clear thumping bass that’s hard to find in its class. So, push the button, crank it up and let the bass drop. Feel the exceptional profound sound of the boat rockerz 510 wireless headphones. 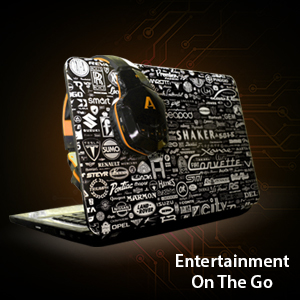 Designed and crafted for all your entertainment purposes, be it gaming, DJing, music making just connect this masterpiece to your smartphones, laptops, or tablets and plug into the breathtaking universe of intense excitement. 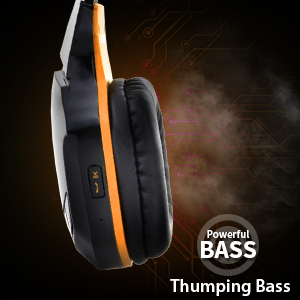 Super bass technology delivers powerful, clear thumping bass sound where it’s hard to find in its class bluetooth headphones. So, turn it up, stay amazed and be entertained.